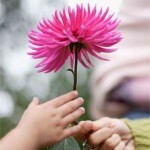 MASadvise.org > Blog > estate planning > How do I prepare my charity for an Estate Giving Program? How do I prepare my charity for an Estate Giving Program? With approval to proceed we would recommend that the staff member responsible for the program join the Canadian Association of Gift Planners . CAGP has a chapters across Canada and attending local chapter seminars/education events will both increase your knowledge base and connect you with other individuals and organizations doing similar work. We would recommend that a small core team of people be assembled as the first step in the establishment of your estate giving committee. The team should include one or two members from the Board, a long term loyal donor, a local general practice or estates lawyer and your bank’s account manager. Each would bring a professional perspective about estate giving from a donor’s perspective. You may also wish to consider subscribing to Canadian planning giving periodicals/podcasts (both free and by subscription) published by Hilborn. With basic knowledge you should considering attending CAGP’s one day Gift Planning Fundamentals seminar which provides a good base knowledge. For in-depth knowledge (assuming available time and budget) consider attending “Original” Gift Planning Course which is one of the longest running (since 1990) and respected courses on philanthropy in Canada.